Download your own copy here and start to increase car count into 2016! 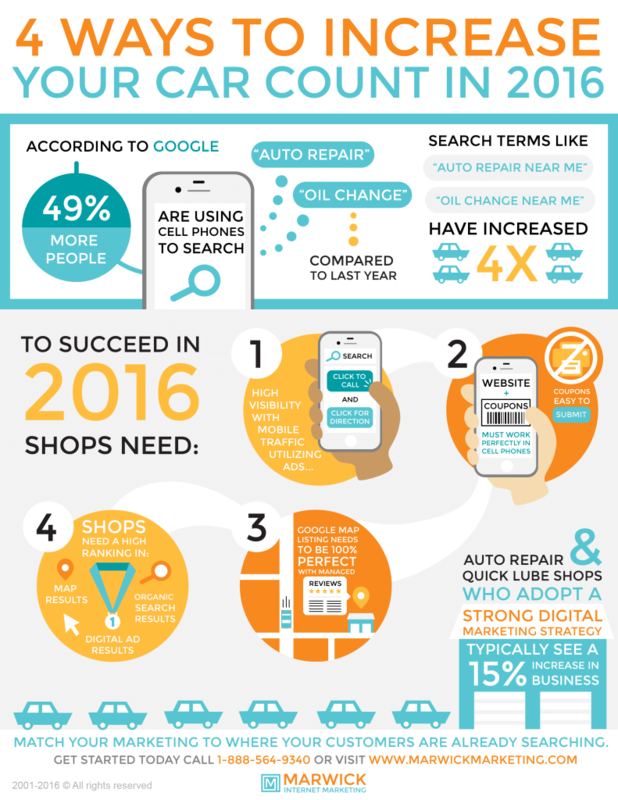 Improve your digital marketing to increase your car count at your quick lube or auto repair. Call us today and we will show you how we can increase your car count using SEO and SEM marketing. Having a strong local SEO and SEM campaign will allow you to become more visable when customers are searching for your location using their cell phone.